A common question we get is whether Windward Way rehab center is qualified in treating addiction and depression. Absolutely yes. We realize that many of the men who enter our program of recovery have been diagnosed with co-occurring disorders (also called dual diagnoses). Our clinical partnerships will be able to provide an addiction treatment for depression in conjunction with our addiction treatment program. If you’re feeling down, blue, have a lack of energy, or see little purpose to your life, you may be dealing with a diagnosable mental illness alongside your substance abuse. Windward Way knows how to treat depression effectively through the vast collection of treatment modalities we use. If you or a loved one suffers from depression and substance use, reach out today so we can craft an individualized plan for you. Call us: 855-491-7694. A question weighing heavily on parents’, spouses’, or girlfriends’ minds is if depression causes addiction and substance use, or if it is the other way around. Frankly, it is difficult to determine, and it gets to be a bit of a “chicken or egg” question. What we can say is that Windward Way can treat your (or your loved ones’) substance-use disorder and depression in both our drug and alcohol rehabs. We want to pass along the hope of a new life for the men we serve. Pick up the phone; call us now and we’ll show you how we can help: 855-491-7694. 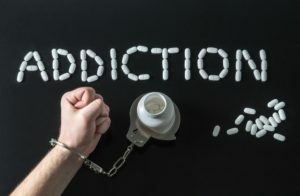 The purpose of a rehabilitation program for substance abuse is to help patients stop addictive behavior and give them the tools and guidance to turn their lives around. But in the case of those with co-occurring disorders, making the first step towards getting better can be extremely challenging. The problem with co-occurring conditions is that both disorders tend to exacerbate one another, making it difficult to differentiate between the symptoms caused by one affliction from the other. For instance, people who want to escape the effects of depression with self-medication often find themselves in a vicious cycle that only exacerbates and perpetuates their condition. Unlike the ordinary feelings of sadness, grief or nostalgia that most people will experiment at some point during their lives, clinical depression is a severe medical condition that can affect an individual’s life. According to the World Health Organization, more than 350 million people suffer from depression worldwide. Because “feeling a little sad” is not considered a serious health problem, and depression is still treated as a light topic, over 50% of the people who struggle with this condition will never reach out to get help or receive treatment. Depression causes pain and suffering not only for those diagnosed with the condition. It can also have a negative effect on their families and the communities in which they live. According to the Centers for Disease Control and Prevention, the economic impact of depression was $210.5 billion in 2010. Self-medication describes the behavior of someone that self-administers substances, drugs or alcohol to treat their physical or psychological issues. A traumatic event, such as losing someone close, getting divorced, losing your job or being the victim of a violent crime is often the trigger that determines people to turn to substance use or alcohol to alleviate their pain. The problem with self-medication is that the “benefits” are temporary and disappear as soon as the effects of the substance vanish. Moreover, the consequences on one’s health, such as rapid heart rate, increased body temperature, faster breathing, anxiety, irritability, and so on, will only make the matter worse than it already was. What Are the Concerns of Drug Addiction? Anyone that suffers from physical or emotional discomfort or a mental health issue is likely to start using psychoactive substances as a way of self-medicating, exposing themselves to the risk of abusing them and developing an addiction over time. According to the National Alliance on Mental Illness, half of the individuals with a serious mental illness are likely to struggle with substance abuse during their lives. A dual-diagnosis, also known as a co-occurring disorder, requires an integrated treatment to help the patient deal with both their substance abuse problems and mental health issues.This integrated treatment will focus on helping patients assess the role alcohol and drugs play in their life and learn more about how these interact with their mental illness. They will also get the support they need to continue their lives, set recovery goals, and achieve those goals. A treatment plan starts with a thorough assessment of the patient, which is crucial for creating the individualized steps they have to take. There is no right or correct way of approaching someone that suffers from co-occurring disorders, so taking the patient’s specific conditions and medical history into consideration is paramount for developing the right treatment. Self-medicating to treat the symptoms of depression can quickly spin out of control. However, it’s never too late for people with co-occurring conditions to get the support they need and turn their lives around.